My apologies for not posting yesterday, it is my goal to post daily on here, but that means that today I’ll post twice! Yesterday I saw a tweet from Detroit-native and current New Yorker, playwright, Domonique Morriseau. It was about gentriification in the city and specifically, about rising rents downtown. 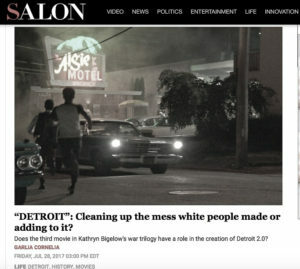 Naturally, being from the city that filed for bankruptcy, I was interested and share this article from The Detroit Free Press. Are you a Detroiter? What do you think about the “Tale of 2 Cities” that was mentioned in the article? It immediately made me think of what is happening here in New York. In fact, our new mayor, Bill de Blasio, ran his campaign with the theme “A Tale of 2 Cities”, targeting income equality in the city (a very real thing). Growing up near downtown Detroit, it is nice to see the area thriving, but in no way do I wish for the artists and people who have lived in that area pushed out. New Yorkers deal with a changing city daily. Gentrification is part of our way of life. It is nice for our neighborhoods to benefit, but can’t there be a way for those that have lived there to benefit as well. 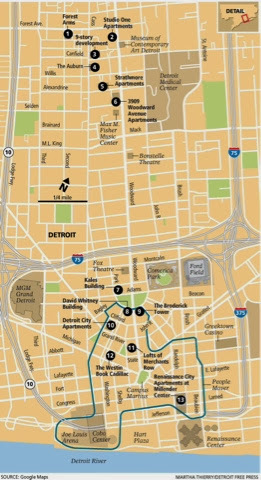 In Detroit’s case, while the downtown seems to be thriving, if one goes a little further North, the story will change. 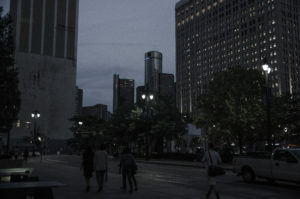 Detroit is a very large city, so how can the success of downtown translate to other areas, WITHOUT disturbing its residents…? So whether you’re from Detroit, New York or other city in the a similar “2 Cities” Situation, I want to hear about it below!